Xebec Design and Facilities Pvt. Ltd. The project management and consulting division takes ownership for your projects to ensure effective and timely delivery. Hotels, corporate buildings, farm houses, historical restoration or multiple interior fit-outs, Xebec uses its wide depth and breadth of experience to effectively advise, manage and monitor projects. With projects worth more than Rs 200 million completed over last 10 years, Xebec has the capability to deliver fitout projects anywhere across India. The in-house project management and facilities division allow Xebec to ensure quality and timely delivery; and provide ongoing support post completion. Xebec team manages about a million sqft of space spread across 8 states and over 65 ciites of North India. A central helpdesk and on-call shared resources, allow Xebec to service facilities of all sizes at low costs. Whether it be a simple change of a lamp or a major renovation, Xebec can support you through out your facility life cycle. Xebec is a multidisciplinary services group offering a wide range of consulting and execution solutions in the building industry under above three verticals. 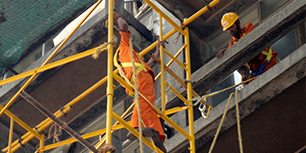 Extensive in-house capabilities, end-to-end experience and wide linkages, including the ability to assemble teams of experts all over the country, allows us to successfully deliver integrated services for the building industry across multiple locations and at various points in the building construction and operations process. Trained manpower, with the ability to multi-skill, diverse experience, and a strong service and information structure enables us to provide an effective, credible and a practical approach to delivering and managing buildings and related infrastructure. 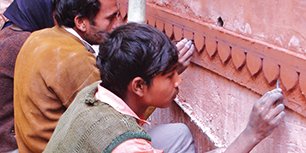 At the last count, we have delivered projects across more than 200 cities of India and have ongoing operations at more than 65 cities across much of North India.